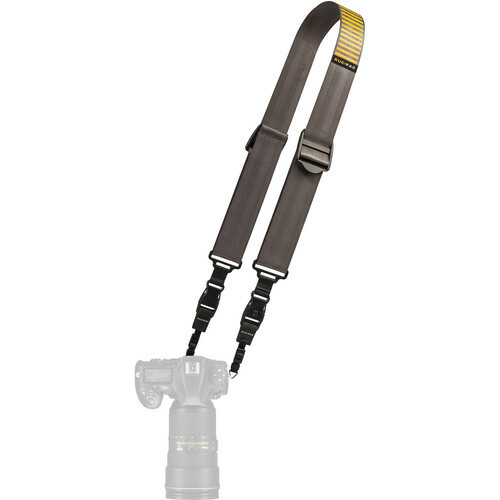 Carry your DSLR or mirrorless camera and lens across your body, from your neck, or over your shoulder with this Slide Camera Strap in gray/gold from RucPac. 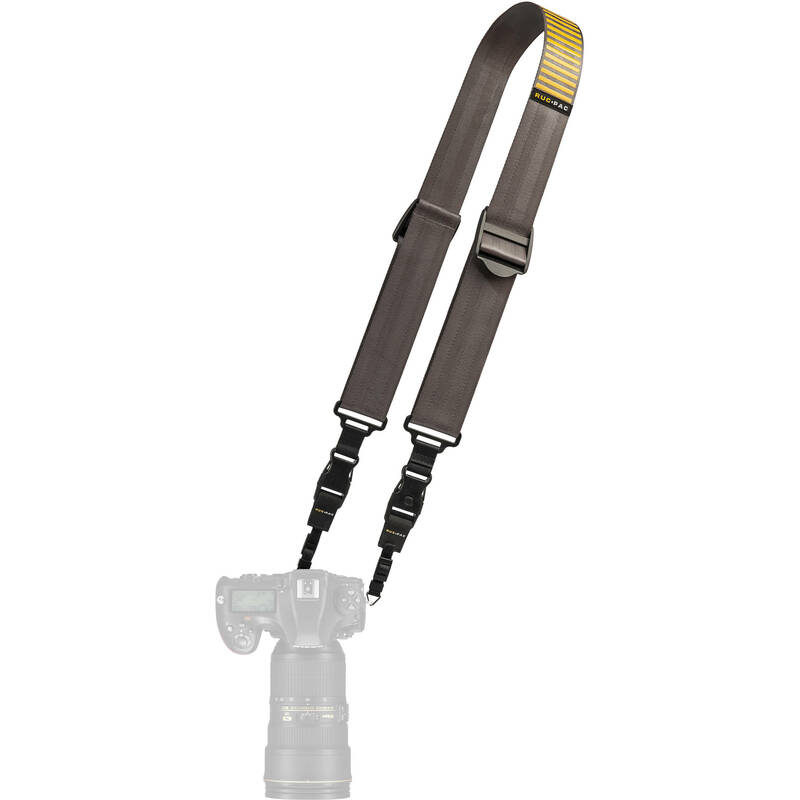 The strap has length-adjustment sliders, steel triangle connectors, and QR connectors. Box Dimensions (LxWxH) 7.0 x 3.5 x 2.0"